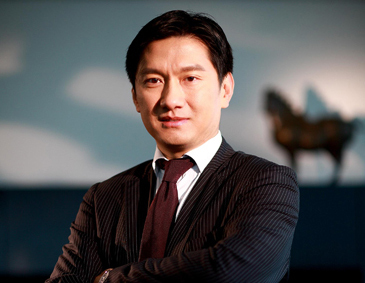 Mr. Martin Hu is the Founding Partner at MHP Law China. He is qualified to practice in the People’s Republic of China and the State of Ohio, USA. Mr. Hu practiced law for three years in Ohio, USA in the field of corporate law, tax law and cross-border transactions before returning to China. He then served as Legal Counsel of Phillips Electronics China Group before he founded Boss & Young Law Firm together with other partners in 1998. Mr. Hu has since then been retained by many multinational companies as lead counsel for their major projects from the planning to the closing stage, in connection with business structuring, mergers & acquisitions, joint ventures, tax planning and other complicated corporate and commercial transactions. He also advises PE & VC investment, offshore IPO, offshore acquisition and represents corporate clients in major litigations and arbitrations. Mr. Hu has been recognized as a leading lawyer in the field of Corporate and M&A by the Chambers and Partners since 2009. He was awarded “Excellent Lawyers of China” and “Top 10 Lawyers in Shanghai”. Mr. Hu is the Central Committee Member of Shanghai People’s Political Consultative Conference, Arbitrator of China International Economic and Trade Arbitration Commission (Shanghai), Member of Shanghai Administrative Review Committee, Director of Shanghai Bar Association (SBA). Mr. Hu received his Bachelor of Law from Wuhan University Law School in China and LLM in Tax from Capital University Law School, Ohio in United States.